This winding track can only mean one thing – the turtles have returned to start the 2017 season! The first nest was discovered at Sandy Point National Wildlife Refuge this morning. It’s a bit of an early start, so we are hopeful that this will mean a busy season! 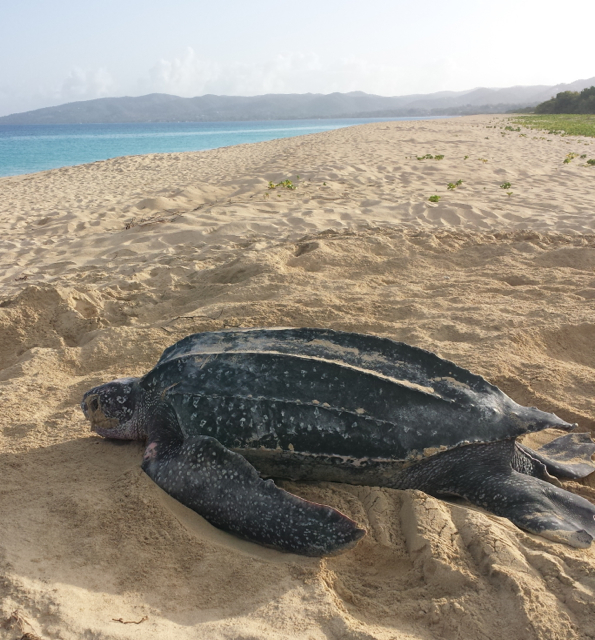 Stay tuned for regular updates on the turtles that we find nesting, their stories and the stories of our research and conservation team members.